NEW YORK--What if cars could just “talk” to each other? If only such communication between vehicles exist, not only accidents will be avoided but lives will be saved as well. Sounds great, right? This idea has between a subject of interest by many engineers who believe vehicles could be driven in a safer manner if only it is equipped with information about another car and obstructions on the road like pedestrians around the curb. Of course, such an idea does not come without its own set of hurdles. 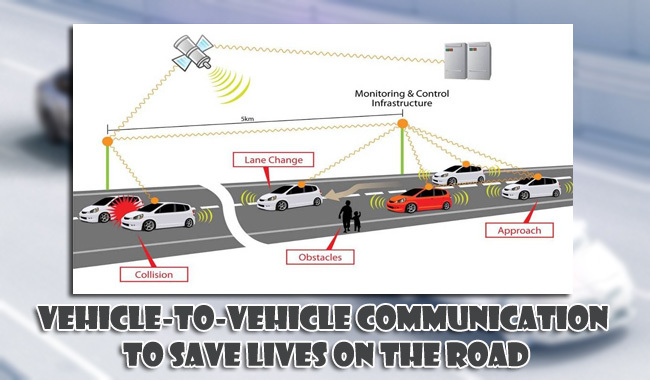 Problems in implementing these systems include having the proper legal framework and allocation of wireless spectrums to enable the vehicle-to-vehicle (V2V) communications. Efforts to promote V2V had been sped up as announced by the US administration just this month. This action was done in a push for better road safety and also to help in facilitating self-driving cars. During a visit to Silicon Valley, Anthony Foxx, transportation secretary, said that they are accelerating their timetable on the proposed rule to require V2V technology that will allow cars to ‘talk’ to one another. He hopes to have these proposed regulations for these technologies by the end of this year. He not only believes that this improvement will have a huge impact on preventing accidents from ever happening in the future, but also that they will eventually be able produce a self-driving car that will be better at driving than a human can. According to the National Highway Safety Administration, the technology will be able to accomplish a number of things like being able to determine if a car can make a safe left turn across traffic by calculating the speed of oncoming vehicles, with enough information. The administration has been testing V2V since 2012. However, the benefits of this project may take its time. Older vehicles may take engineers years to replace or upgrade the infrastructure to be part of the system. Another of its issues regulators face is setting aside a part of the wireless spectrum, amidst the use of hundreds and thousands of smartphones and tablets. Aside from the technical problems, V2V is still a subject of debate due to issues of legal liability if errors occur and privacy issues due to the creation of the new database. If US cars are to be equipped with the technology, researchers say that these systems, which roughly cost around $350 dollars per car, can help in avoiding a total of 592,000 vehicular accidents and save 1,083 lives per year.